One of the things that most people are not aware of is the fact that online reviews have a significant impact on the way that people view brands and products. If you own an online store, getting reviews for your website is, therefore, of paramount importance. We have previously written an article in which we talk about how you can get star ratings in your Google AdWords ads. People have long relied on the information that they gather from their peers when deciding whether or not to buy a particular product or to sign up for a particular service. Today, online reviews have largely replaced the word of mouth phenomenon of yesteryear. 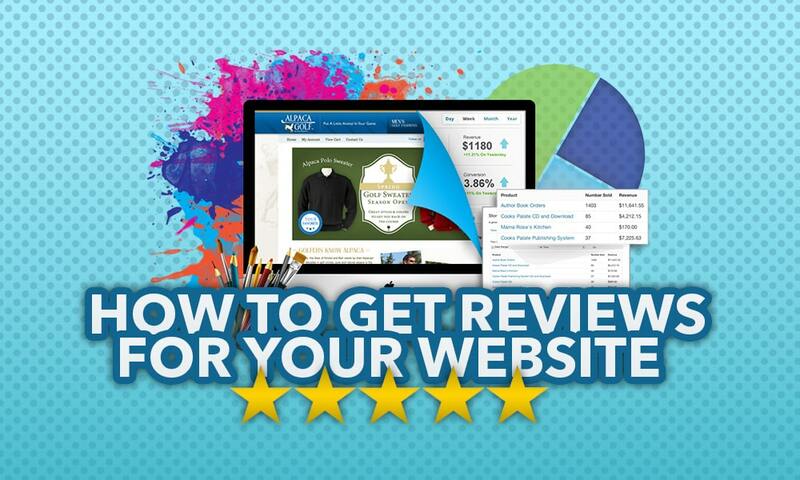 So, how do you get reviews for your website? Google AdWords is, without doubt, the most popular online advertising networks that can be found out there. One of the things that you will notice, however, is that AdWords can be rather crowded. Whether or not you are looking at Search Ads, Display Ads, Video Ads and App Ads, how do you stay ahead of the competition in terms of reaching out to potential customers? Getting Star Reviews is one of the easiest ways through which you can increase the visibility of your AdWords Ads. If you have been trawling across the World Wide Web for any given amount of time, you will have noticed that some AdWords Ads come with between 1 and 5 golden stars underneath them. Having Star Ratings, as Google itself states, increases your Ads’ CTR rate by up to 17%. People, as we have already noted, generally want to walk along the well beaten path. What this means is that they are likely to choose a product or service that their peers have already had a good experience with. This makes it important for you to get star ratings for your AdWords Ads. Star Ratings, as we note in the provided link, are pushed into Google Product Listing Ads by approved companies, including Shopper Approved. Product Ratings are another type of star rating that all businesses should be aware. This is particularly the case for those who run online stores. The importance of getting Product Ratings lies in the fact that they show the purchasing public that their peers have already bought whatever it is that you are selling and have been satisfied with their purchases. Product Reviews are, therefore, a mark of quality and help boost the chance that people will opt for your products. Register on as wide a number of places as is possible. You then need to make sure that your customers are able to find you where it matters. It collects and syndicates Merchant Reviews, which gives your business greater visibility online. Shopper Approved also collects Product Reviews which is another great way of promoting any of the products that you sell. Shopper Approved also allows for the local collection of reviews. Local reviews are ones that you gather within your businesses premises. Shopper Approved gives you a wide range of tools that you can use to collect local reviews. These include the iPhone Video Testimonial and Review app, which allows for the automatic syndication of reviews to the online locations where they will make the most positive impact. Where Does Shopper Approved Display your Reviews? Planet Marketing has negotiated a deal for you at Shopper Apporoved. Instead of paying the advertised $199 per month for review syndication services, you can do so at an amazing $79 per month by clicking on this link. Yelp is, without doubt, one of the best known online review companies that can be found out there. If you are looking to have your website reviewed where it matters, then a Yelp listing is what you should be on the hunt for. Yelp receives about 26 million unique visitors every quarter and carries up to 127 million reviews. The first thing that you need to do as a business is claim your Yelp’s Business Page. This allows you to respond to the reviews that are posted by people and to measure visitor activity on your page. If you need motivation for having your business listed on Yelp, just consider the fact that businesses that have claimed their pages on the platform received an average annual increment of $8000 in revenue. Once you have claimed your Yelp Page, the next thing that you need to do is direct your customers to the relevant page in order to get them to leave reviews. A simple way of doing this is to have a “Find us on Yelp” banner on your website. Google Plus is another of the places on which every business needs to have visibility if it is to have a full online impact. The really great thing about Google Plus is that it provides for an interactive engagement between your brand and your customers. In order to effectively leverage your presence on Google Plus, you need to get a listing on Google My Business. The great thing is that once you have successfully listed your brand on Google My Business, your business will begin appearing in Google Maps. This is particularly important for local businesses that rely on walk in traffic. Having your potential customers easily find you is a great way of boosting your visibility within your environment. People can also leave reviews about the experiences that they have had with your business, which tends to be great for attracting even more customers.